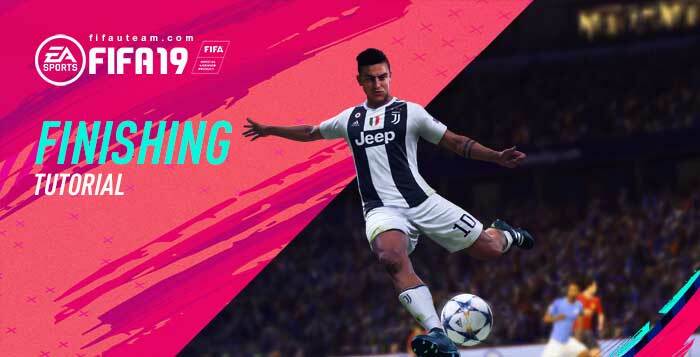 The author of this FIFA 19 finishing tutorial, drpoplove, is a former #1 FIFA and FIFA Street player in the world. He will explain everything you need to know to improve your FIFA skills. Today, he will show you the best way to score. Hey comrades, finishing in FIFA 19 is pretty different than 18 and takes some getting used to. Below is some advice on how to make the transition, and a tip on one particular scoring method that’ll make your life a lot easier. Seriously, long distance finesse shots are insanely good. You don’t even need to get the timing right, most of my goals come from yellow timing. I’ve even scored from red timing. This is not an exaggeration. Aim diagonally with your body facing the corner you want to hit, and if you have a yard or 2 of space, unleash a finesse shot. If you have someone with the finesse trait like Son, it goes in with ease most of the time. Not even De Gea can save these for some reason. To do a finesse shot, hold R1/RB as you shoot. If you have someone without the finesse trait but they’re still a decent shooter, you’ll need to be more careful about the power, aim, and timing. If you can get green timing on someone without the trait, you can even score from extreme angles that nobody should be scoring from regularly. If you need to quickly generate space outside the box for a finesse shot, you can use close control to switch up directions, or the R1 dragback. If you’re unable to generate a yard or so of space outside of the box for one of these insanely ridiculous shots, below are tips for more traditional finishing. If you have to turn and shoot, you’re going to have a bad time in FIFA 19. At least with current players that aren’t 99 rated. It’s easier to score by not changing your player’s direction when shooting because you’re not forcing them to twist their legs and potentially go off balance. Finishing at the near post in FIFA 19 is very viable, so you don’t need to worry about always trying to score across the goal. However, if you are running at the goal diagonally, it makes sense for you to shoot diagonally as well (most finesse shots). It’s easier to slide the ball past the keeper in 1 on 1 situations or during tight moments in the box. 1.5 bars of power is usually enough. Adding 3 bars of power to your driven shot will cause it to rise and be less accurate, unlike in FIFA 18. You’ll find that your low driven shots across the goal are way less useful this year, and in general these types of shots get blocked inside a crowded box. They still have a use, but you can’t expect to power them up and have them go through an entire box of players somehow. The faster you’re moving and the faster the ball is before striking it, the harder it is to keep your shot accurate. Remember that your shot will carry your player’s speed into it, as well as the ball’s original movement. So if you’re moving slowly when taking a shot, you need to add more power. If you’re moving quickly when taking a shot, you usually need to add less power since the ball is already doing a lot of the work for you. Generally speaking, you want to aim high for long shots to make the keeper dive, and aim low on short range shots because there’s less time for the keeper to get down. Is timed finishing absolutely crucial to scoring? No, but it does make your life easier. As with the finesse example, timing isn’t really all that important. But in more difficult situations, a well timed shot will give you a better chance of scoring. You don’t need to time every single shot, especially those chances that are just EZ tap ins or unmissable, but start practicing either way. FIFA 19 is a lot more realistic about its finishing (save for finesse…), so getting a little video gamey boost on your shot good. Especially if you’re having troubles breaking down defenses or playing with someone that’s got low composure. Anyway comrades, I hope this has been helpful, let me know if you have any questions! And if you want to see more of these types of posts or go deep into FIFA mechanics, check out r/seriousfifa as well.